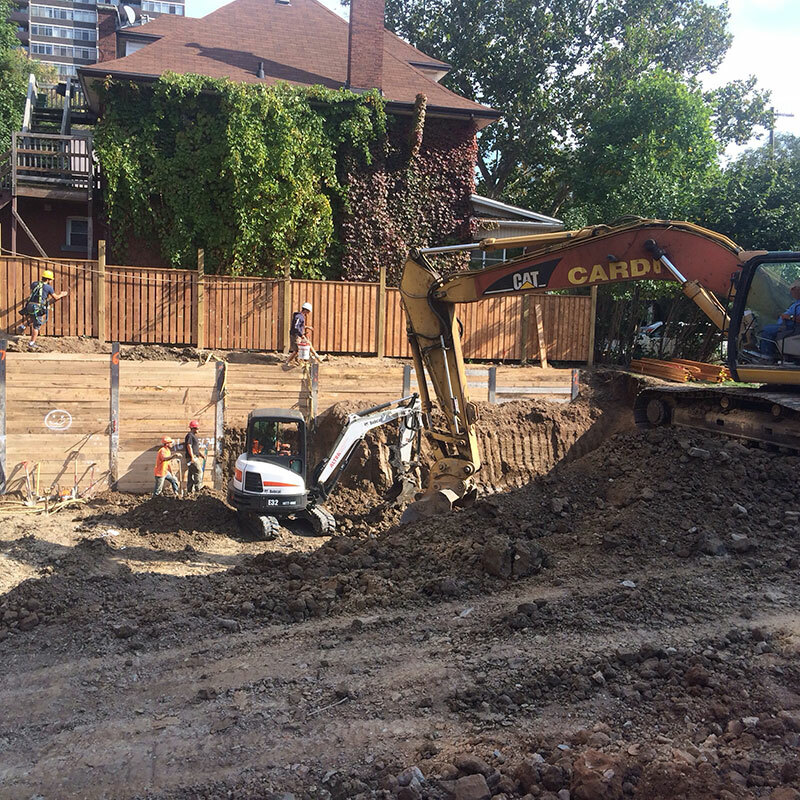 Cochren Foundation is a shoring contractor providing shoring for excavation on residential developments. 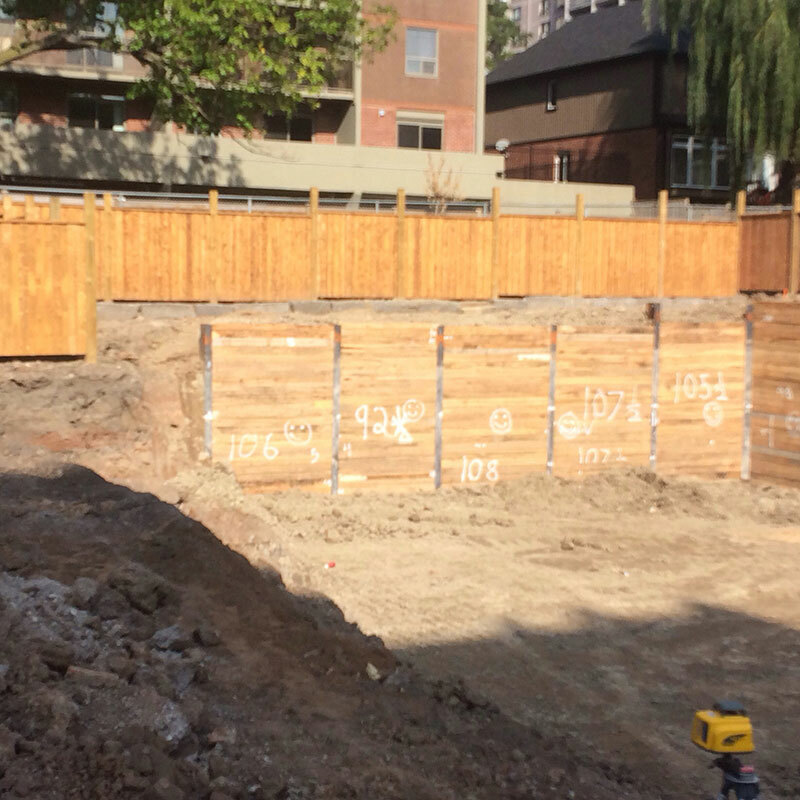 The soil retention system we use is called Solder Pile and Lagging. 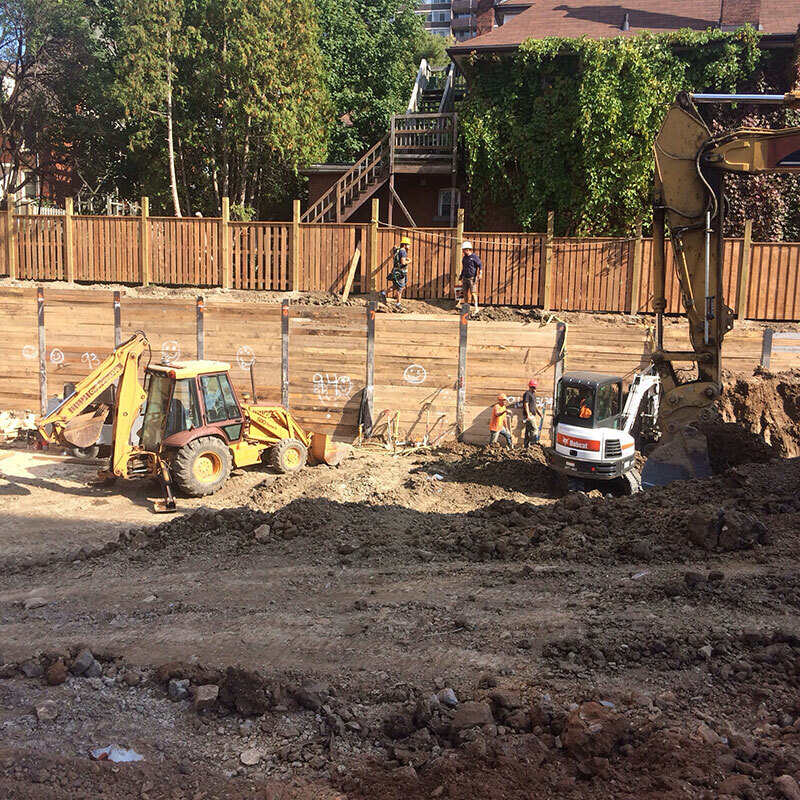 We use H beams for the piles and timber for the lagging. 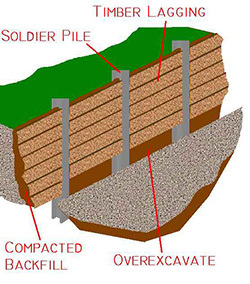 We do not provide soldier pile / timber lagging for excavations exceeding 10 to 12 feet deep in depth. Call Hamilton: 1-888-610-4959 / Toronto: 1-647-921-7437 or submit a Contact Form today to talk about your Solder Pile and Timber Lagging project. 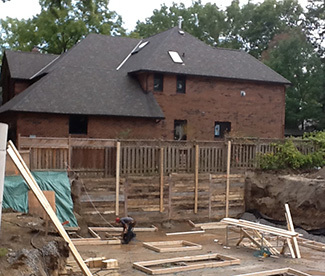 Stabilization and Shoring Service in Acton, Stabilization and Shoring Service in Aldershot, Stabilization and Shoring Service in Ancaster, Stabilization and Shoring Service in Aurora, Stabilization and Shoring Service in Beamsville, Stabilization and Shoring Service in Brampton, Stabilization and Shoring Service in Brant, Stabilization and Shoring Service in Brantford, Stabilization and Shoring Service in Burlington, Stabilization and Shoring Service in Caledonia, Stabilization and Shoring Service in Cambridge, Stabilization and Shoring Service in Campbellville, Stabilization and Shoring Service in Cedar Springs, Stabilization and Shoring Service in Dorchester, Stabilization and Shoring Service in Dundas, Stabilization and Shoring Service in Flamborough, Stabilization and Shoring Service in Georgetown, Stabilization and Shoring Service in Greensville, Stabilization and Shoring Service in Grimsby, Stabilization and Shoring Service in Guelph, Stabilization and Shoring Service in Hagersville, Stabilization and Shoring Service in Hamilton, Stabilization and Shoring Service in Ingersoll, Stabilization and Shoring Service in Kilbride, Stabilization and Shoring Service in Kitchener, Stabilization and Shoring Service in London, Stabilization and Shoring Service in Markham, Stabilization and Shoring Service in Milton, Stabilization and Shoring Service in Mississauga, Stabilization and Shoring Service in Mt. 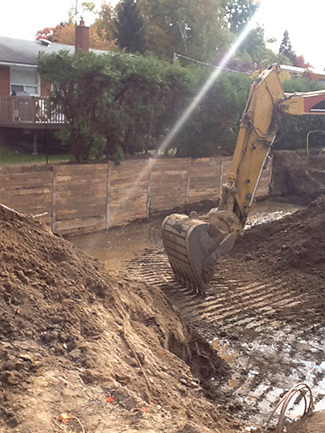 Hope, Stabilization and Shoring Service in North York, Stabilization and Shoring Service in Oakville, Stabilization and Shoring Service in Oshawa, Stabilization and Shoring Service in Paris, Stabilization and Shoring Service in Pickering, Stabilization and Shoring Service in St. Catharines, Stabilization and Shoring Service in Stoney Creek, Stabilization and Shoring Service in Toronto, Stabilization and Shoring Service in Waterdown, Stabilization and Shoring Service in Waterloo, Stabilization and Shoring Service in Welland, Stabilization and Shoring Service in Winona, Stabilization and Shoring Service in Etobicoke, Stabilization and Shoring Service in Scarborough, Stabilization and Shoring Service in Richmond Hill, Stabilization and Shoring Service in Newmarket, Stabilization and Shoring Service in Vaughan, Stabilization and Shoring Service in Ajax, Stabilization and Shoring Service in Concord, Stabilization and Shoring Service in Rexdale, Stabilization and Shoring Service in Gormley and Stabilization and Shoring Service in Whitchurch-Stouffville. Planning to add outdoor living space to your home this year? Why not do it right? Imagine an elevated concrete deck, enclosed with decorative aluminum railing with glass panels. Planning to build an addition to your home? Whether is a small 100 square foot or 1,000 square foot addition, we have some new technology for you that will save you time and money! 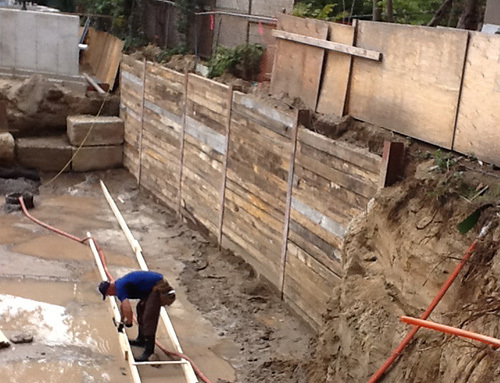 Plan for your premium living space now by upgrading your home to include a SMARTBASEMENT™ ... the best foundation waterproofing and drainage system available!